> 2.8 Rating, Out of:50/5 Stars. Widely known for its rich heritage, peace and tranquil beauty, Lalitpur is located in the state of Uttar Pradesh and is resplendent with religious and historical monuments. It is the district headquarters of Lalitpur district. Lalitpur travel guide is incomplete without a mention of the exquisite experience that the city can give to its tourists. Lalitpur represents a distinctive and enduring appeal to the viewers with its magnificent memento of the splendid past and present. One can see a clear picture of its culture from the remnants of the big monuments and magnificent dams and temples. It is a part of Jhansi Division. Lalitpur District is one of the districts of Uttar Pradesh state of India. Lalitpur district is a part of Jhansi Division. Lalitpur is the main town and administrative headquarters. The district occupies an area of 5,039 km². Lalitpur District is a part of Jhansi Division and was carved out as a district in the year 1974. 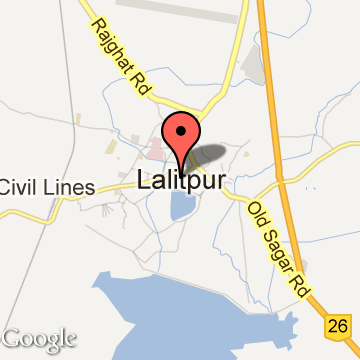 Lalitpur is really not only the heartland but also a heart shaped district of Bundelkhand region. It is connected to Jhansi District of Uttar Pradesh by a narrow corridor to the northeast, otherwise almost surrounded by Madhya Pradesh state. Lalitpur district lies between latitude 24°11' and 25°14' (north) and longitude 78°10' and 79°0' (east) and is bounded by district Jhansi in the north, districts Sagar and Tikamgarh of Madhya Pradesh state in the east and Guna district of Madhya Pradesh separated by river Betwa in the west. The district had a population of 977,447 as per the census of year 2001. This district is well known for its culture, peace and natural beauty and have maximum dams in the state. Also has a number of historical and cultural places like Devgarh, Seeronji, Pavagiri, Devamata, Neelkantheshwar at Pali, Machkund ki Gufa. Lalitpur town has variety of places like many Hindu & Jain temples. Raghunathji (Bada Mandir), Shivalay, Boodhe Babba (Hanumanji), Tuvan Mandir for Hindus & Bada Mandir, Ata Mandir & Kshetrapalji for Jains are famous temples. Lalitpur Tourism - Get all information on Lalitpur tourist places and sightseeing tours. Our website helps you plan your next tour and gives you great ideas on what to do, where to eat, where to stay and when to go there. We give the best information from the web to give you precise, meaningful and useful travel guide for leading places to visit in India and from across the world. Our travel information on LALITPUR tourist places, tourist attractions, major sightseeing, the best time to visit, the top places to visit in Lalitpur, the must-see things to see and do, maps, restaurants, hotels, nearby tourist destinations, local public information and more. 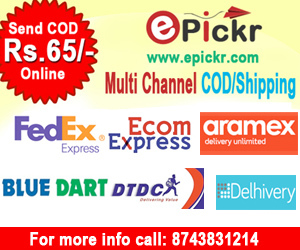 To start with check out information on how to reach Lalitpur.